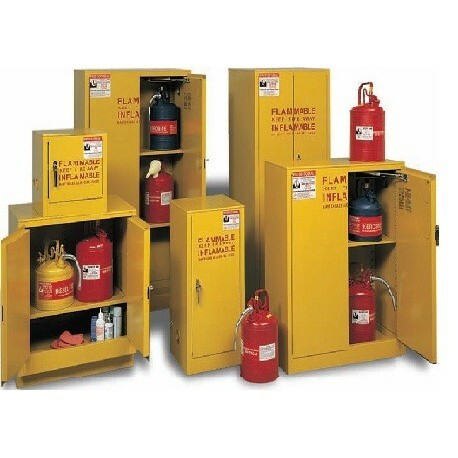 The 45 GAL SOLVENT STORAGE CABINET provides the best possible protection for all your flammable liquid applications. This cabinet is available with manual (J112-059) and self-closing (J112-060) doors. 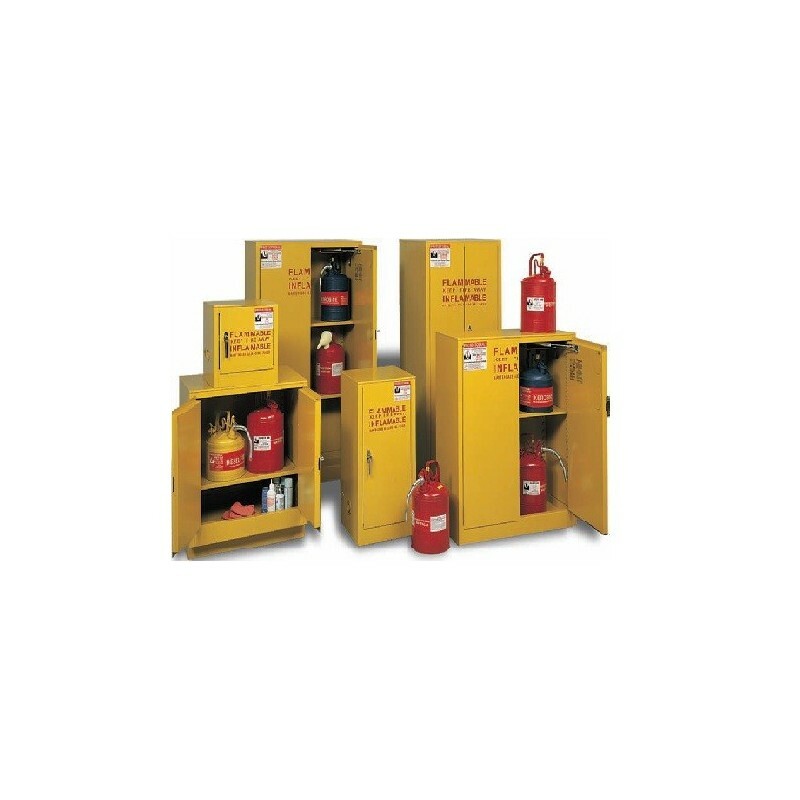 These high-quality safety storage cabinets are ideal for production lines, laboratory, or hospital use.